A gripping thriller about three young girlfriends, a dark obsession and a chilling crime that shakes up a quiet Iowa townFor twelve-year-old Cora Landry and her friends Violet and Jordyn, it was supposed to be an ordinary sleepover--movies and Ouija and talking about boys. But when they decide to sneak out to go to the abandoned rail yard on the outskirts of town, little do they know that their innocent games will have dangerous consequences.Later that night, Cora Landry is discovered on the tracks, bloody and clinging to life, her friends nowhere to be found. Soon their small rural town is thrust into a maelstrom. Who would want to hurt a young girl like Cora--and why? 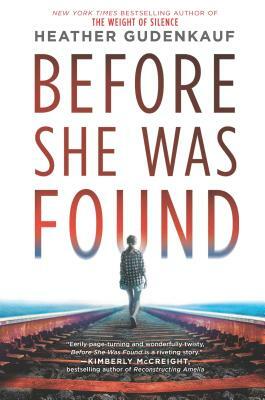 In an investigation that leaves no stone unturned, everyone is a suspect and no one can be trusted--not even those closest to Cora.Before She Was Found is a timely and gripping thriller about friendship and betrayal, about the power of social pressure and the price of needing to fit in. It is about the great lengths a parent will go to protect their child and keep them safe--even if that means burying the truth, no matter the cost.